Instant Pot chicken breasts with sun dried tomato cream sauce makes a restaurant-quality meal in under 30 minutes! 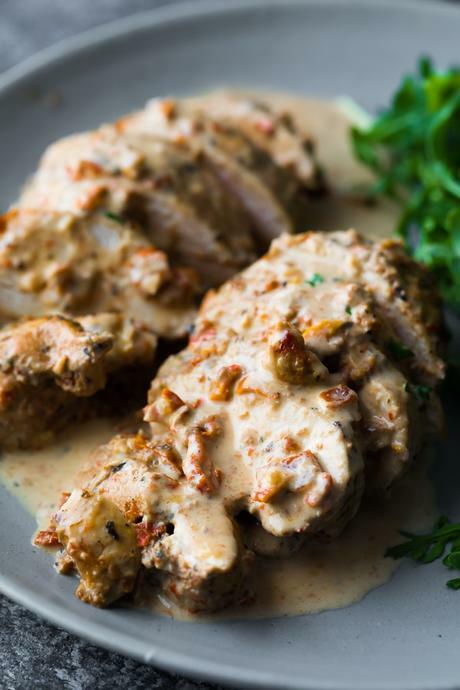 Juicy chicken breasts are served with a delicious sun dried tomato parmesan cream sauce. Low carb and gluten-free. Lookie here, it’s the sister post to this Instant Pot Creamy Lemon Chicken Breasts post…they almost look identical, and truth be told, the recipes are allllmost the same. With the important fact that there are sun dried tomatoes, rather than lemon juice in this sun dried tomato cream sauce. Both of these recipes are from my post of 7 Instant Pot Chicken Breast Recipes, which shows you how to prepare them ahead and freeze them. And now I’m showing you just how delicious the finished product is! Reasons I love this Instant Pot chicken breast with sun dried tomato cream sauce recipe? It’s fancy, but it takes very little effort. It comes with a sauce that is perfect for spooning over rice, potatoes or other veggies. 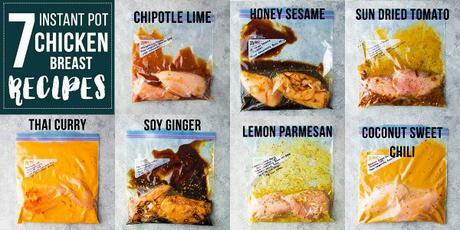 Looking for more Instant Pot Chicken Breast Recipes? Check this post out!